I love living in Austin --- a short ride from live music, the best Mexican food around, and the city lights reflecting on town lake. The more time we spend immersing ourselves into the richness of Austin, the more grateful I am to live in the capital of Texas. But with all the wonders of this enchanting city, I still crave the country. Each passing day fills my 'get me on land' bucket, and before long I'm itching to be in my boots, with a cold tea in hand, riding in the passenger side of a Jeep. Not sure what it is, but my breath feels deeper, more cleansing when I'm outside of the city limit signs --- a feeling I recognize when I step out of the car, and look around to see fields, trees, and open sky. We ended the evening with a great meal, prepared by his parents, and cowboy pies. As many of you know, my sweet tooth follows me everywhere, so naturally dessert is something I will never pass up. This little invention was introduced to me by my lovely husband, and re-purchased during a recent trip to Cabelas. Their official name is 'Hobo Cast-Iron Pie Irons' - they carry single and double irons that sell from $14.99 to $24.99. The ingredients are simple and the result is delightful. If you spend time outdoors and like a campfire, this tool is a great addition! 1. This was our inaugural run, so we ran a test batch to help cure the iron. To Cure: First open the iron place iron and place both sides in the coals of your fire. After 5 minutes take out, put 2 slices of butter and a sprinkle of sugar in each side, then place a piece of bread in each sides, and close. Put back into coals and cook 4-5 minutes on each side. When done, remove bread and start on your next batch! 2. For the real round, place two slices of butter and a dash of sugar on each side of the iron. Place two pieces of bread, side-by-side in each side of the iron and add 1-2 spoonfuls of pie filling on the bottom iron. 3. Close iron, and latch. Place in bed of coals for 4-5 minutes on each side. 4. Enjoy your Cowboy Pies! 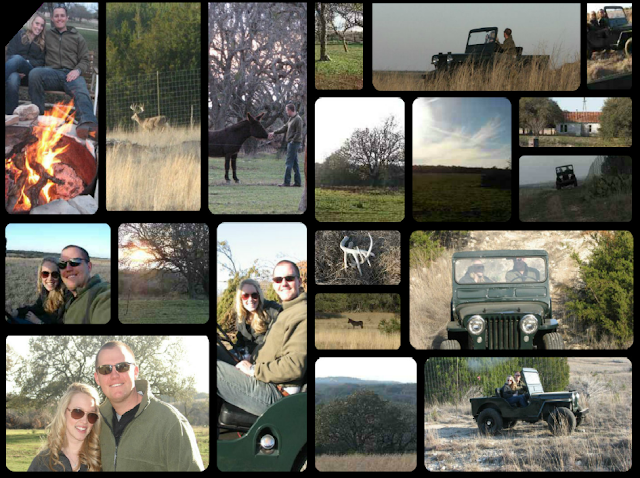 We left the ranch feeling refreshed and full -- Thankful for the ability to enjoy the simple pleasures in life! YUMMY!!! And I mean YUMMY!!! I think the one on the left was mine!! !